Actually, I really didn't make a conscious decision to become a writer. I just started writing. I found myself scratching away in a dimly lit, three wall room, on a shovel with charcoal from the fireplace. Wait. No. That was Abe Lincoln. I started with notebook paper and a stubby pencil. I was too poor to afford the spit to wet the graphite tip. My parents couldn't afford to buy me a typewriter. But they did show me a picture of one in a Sears catalogue we kept in the outhouse. We were decades away from computers, Ipads, money, and indoor plumbing. True story...My first recollection of a writing assignment was in the first grade. I wrote a story about a detective. The teacher decided to read it out loud in class. I was pleased until she pointed out I misspelled detective. I wrote it as defective. The class thought that was funny. So my first venture into writing was defective and embarrassing. Another true story...My writing urge really took off after I boasted to a high school friend I could write a story about anything. He challenged me to write one based on the premise, "How a peanut butter sandwich helped to win the Revolutionary War." My story amazed him. I wish I had kept it. Later, I volunteered to work on our high school year book. I studied a few previous copies and decided things had to change. Instead of the old stuffy, rigid approach I took the plunge and wrote the Class Prophecy in the style of Mad Magazine. School officials didn't realize what I did until the book was published. I didn't get into any trouble over it. In fact I was invited to be the toastmaster for our Senior Class Night dinner. It was my first and only stand-up comedy event. It went quite well. Later, I realised I had the ability to spontaneously make people laugh without tickling them. I also had a knack for creating stories for my children and other kids in the family. I went with that strength and studied different writing forms from a variety of sources. I'm an eclectic writer. I write for children and adults. I write humor as well as horror, mystery, essays, and sci-fi. I prefer humor. That's why I created my blog, "Humorous Interludes". My Amazon ebook is a sci-fi thriller for teenagers. The sequel will follow along the same lines. I chose sci-fi for the "Alien Assistant" books because it fits the characters I had been thinking about for some time. These days I actually write more humor than anything else. I write humor for the adult market rather than for kids. I will soon publish several single panel cartoon ebooks, along with a riddle ebook, and an ebook of limericks for the adult market. I also have a collection of short stories about ogres for the youngsters coming out soon. Being eclectic may be detrimental to my writing career, but I have to write what I have to write. That's why my muse left me. Here is the description I wrote for Amazon. Thirteen year old Monica Mildrew's life is changed forever when her parents reveal their family's secret. Suddenly Monica is involved in a dangerous and exciting adventure. She has to find and help a space alien named Mason. In order to avoid the destruction of Earth, Mason must get back to his mother ship. Things get worse when the Mason is captured and taken away just hours before his scheduled launch. Monica must find Mason and get him to the launch site in time. See what happens when the military tries to stop the launch seconds before takeoff. Follow Monica in a tension filled roller coaster ride as she uses her wits to accomplish her first assignment as an Alien Assistant. I posted announcements on both my blogs, "Humorous Interludes" and "Kids books and stories". I also made Linkedin, Facebook and Twitter posts. Then I bought one of those signs you see people twirl on street corners for buying gold and selling furniture. I didn't make a single sale. It was only later that I found out the sign had been printed in Yiddish. In addition, I have made my book known on Goodreads. I will work to get it on other sites as well. Of course, I told family and friends about it. Hopefully, this interview will help sales. It's all about getting the word out. I'm new to social marketing. I have a lot to learn about it. 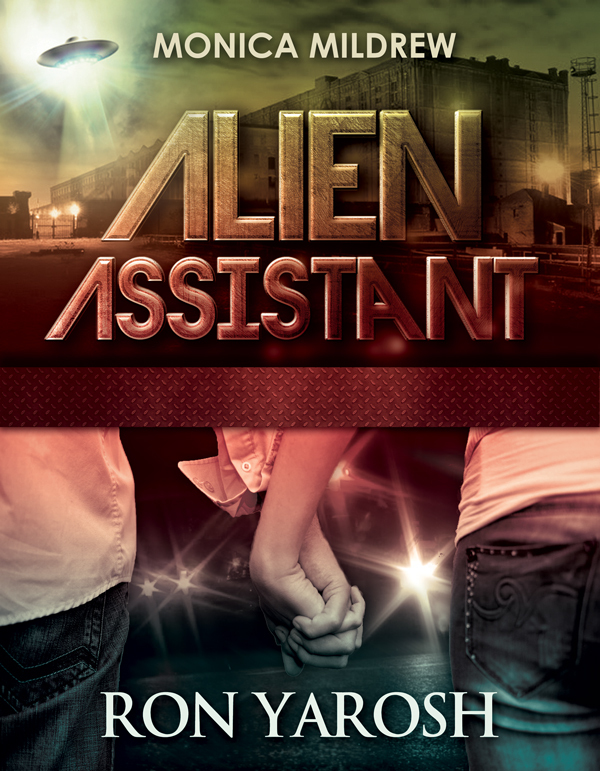 At the moment Alien Assistant is only available as an ebook at Amazon. I will release it in the other electronic formats in the near future. I can always tap into print on demand if there is a call for a hard copy edition. I like to relax by painting in watercolors, oils, and acrylics. I enjoy watching classic movies, especially old science fiction films. I grew up with those movies during Saturday matinees in Pennsylvania. I also watch a lot of Mystery Science Theatre Three Thousand (MST3K) which riffs old "B thru Z" movies. I'm also a video editor, and producer. In addition to that, we visit nearby Walt Disney World quite often. Even when I'm involved in those activities, I always find myself thinking about writing. I have a busy mind which doesn't like to be idle. That's a tough question. To name just a few, I like Ray Bradbury, Woody Allen, the "Monty Python" gang, the MST3K gang, Rod Serling, Dave Barry, Steve Martin, Bruce Coville, Roald Dahl, Andrew Clements, Theodor Seuss Geisel, Lemony Snicket, and Louis Sachar. The list is also eclectic. Don't do what I did. Be persistent. Be strong. Don't quit. Don't let anyone or anything keep you from your goal. In this age of independent publishing there is no reason to stop writing. It's open to anyone. However, at the same time, your writing must be equal to or better than your competitor's work. I wrote something in almost every genre over the years. I wrote books, essays, stories and jokes. I guess I was trying to find my niche. I never did find it. Maybe that's because I never had one to begin with. Rejection was my greatest obstacle to writing. I didn't know why I was being rejected. I took it too personal. I would stop writing, vowing never to write again, only to answer it's call it at a later date. I'd take a new course, and/or read a new book on writing. Then it would begin anew again. I also recommend learning how to write. Not necessarily with something like a book called, "Writing for Imbeciles" (my apologies if there is such a book). There a many courses on writing both on line and in the classroom. Do your research first. Just because someone writes one book doesn't make them an expert. I see this all the time on blogs and other social sites. Someone with a large following writes a book. It sells because of the great following. That person begins to think they are a wonderful writer, when reality they are mediocre at best. I know, I've read their work. Then they decide to teach writing by selling a book or course. That's real Chutzpah. Also, don't write in a vacuum, or any cleaning device. Get whatever you write critiqued. Your cute story about a bunny rabbit making it big on Wall Street may impress your two year old niece, but it could be far from professional. If you are going to write for children, you need to learn the intricacies and demands of that market. Writing for children isn't just watered down adult writing. I took a year long course from the leading children's writing institute, (the one with entrance exam). They seemed to be impressed with my work. They keep inviting me to take advanced courses. Even after that, I had "Alien Assistant" edited by, Kristi Holl, a professional editor of children's books, and former instructor at the Institute of Children's Literature. What I thought was a masterpiece of writing sure needed a lot of work. One more thing. Writers have said, "Write what you like to read." After many years of trying to prove them wrong, I've found that advice to be right. I am writing more humor now, and I am delving into cartooning as an extension of my art work. I find writing humor to be the easiest and most rewarding endeavour. I've discovered, if you don't like what you are doing, your writing days will be miserable. I have more fun writing for Humorous Interludes, creating cartoons, and writing limericks than almost anything else I do. Change, "showing up" to writing something. Many people think about writing something, but never sit down to do it. For years my cousin, Sasha thought about writing the great American Novel, but he spent all his time discussing politics with a veal cutlet. The best thing is having fun writing. I had a ball writing the script for a five minute video, for a contest sponsored by Video Maker Magazine. The video won Second Prize. "The Road Kill Grill" has had thousands of views on YouTube. It's also fun reading the comments people make after they have seen my cartoons, limericks, stories, etc. on "Humorous Interludes", or the comments I have made on various blog postings. And there is this...The other day we were flying to Colorado. We sat next to a nine year old girl who was flying alone. After a few hours of chit chat, with my wife and me, I mentioned I had written a novel for teens. She wanted to read it. I had a copy on my Ipad. After reading a few pages of "Alien Assistant" she said, "This is awesome." It made my year. It was so rewarding watching her become engrossed in the story. Later she kept repeating, "Wow. I met an author." After the flight, she told the Flight Attended all about her experience, repeating her amazement. She said she couldn't wait to tell her mother and her friends. It doesn't get much better than that. Go to the blogs called, "Humorous Interludes" and "Kids books and stories". The latter blog site is still being developed. I also have profile information on Facebook, SWBI, Linkedin. A local garden gnome also has a dossier on me. I have a goal to publish at least five more ebooks this year in multiple formats. Most of them will be in the humor genre. They will be edited prior to release. The wonders of the digital age have made it possible for millions of people around the world to express themselves in blogs, books, videos, posts, comments, tweets, tattoos, and other means of mass communication. It has opened a whole new world to writers, readers, and of course spammers. The playing field has been levelled (with lots of heavy equipment) so that all can participate in the wonders of the new media experience which is changing all the time. However, not all writers will be successful at it. I believe eighty percent of the market will consist of mediocre writing in some form or another. It's always been that way. That's okay because it makes the twenty percent of great writing stand out from the crowd. I will do whatever it takes to be in the twenty percent group. Thank you for the opportunity to be interviewed. It was an honor. 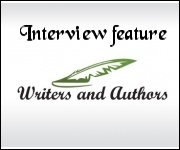 It was also my first book interview. It was a bit off the wall, but that's how my mind works.